The Sew Along will commence 30th November. and will be hosted on this Blog as well as a Facebook Group called AUSSEW-Along. Each day, for five days, we will be posting steps from the Tiny Essentials Tote Bag Pattern that you need to follow for that day. Don't worry if you miss a day. The instructions will stay on the blog and you can catch up as soon as you get back to your sewing room. We will not be repeating all the steps in the pattern instructions; you can read those as you sew. However, we will have mini videos and tips and tricks to help you get the best possible result. You will be able to ask questions via the Facebook Group (or via this blog, if you are not a Facebook devotee). An instructor will be monitoring questions but participants are free, and strongly encourage, to help each other as well. You can also share your work by posting pictures to Facebook. If you would like to take part this is what you need to do. Read through the pattern a few times to get familiar with the steps required. Gather all your supplies. 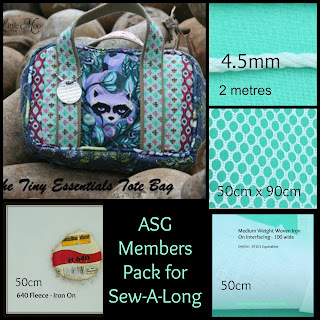 Handbag Hardware Australia are providing Ready-to-Sew kits for this project at a special price. The kits include netting, interfacing, fleece, piping cord and optional webbing for straps. You will need to provide fabric and zipper. Join the AUSSEW-Along Facebook Group (optional). This is a closed group so you will need to request an invitation to join. OR just follow along on this blog. Please note this is an intermediate pattern. Ideally you should have some experience sewing zippers. 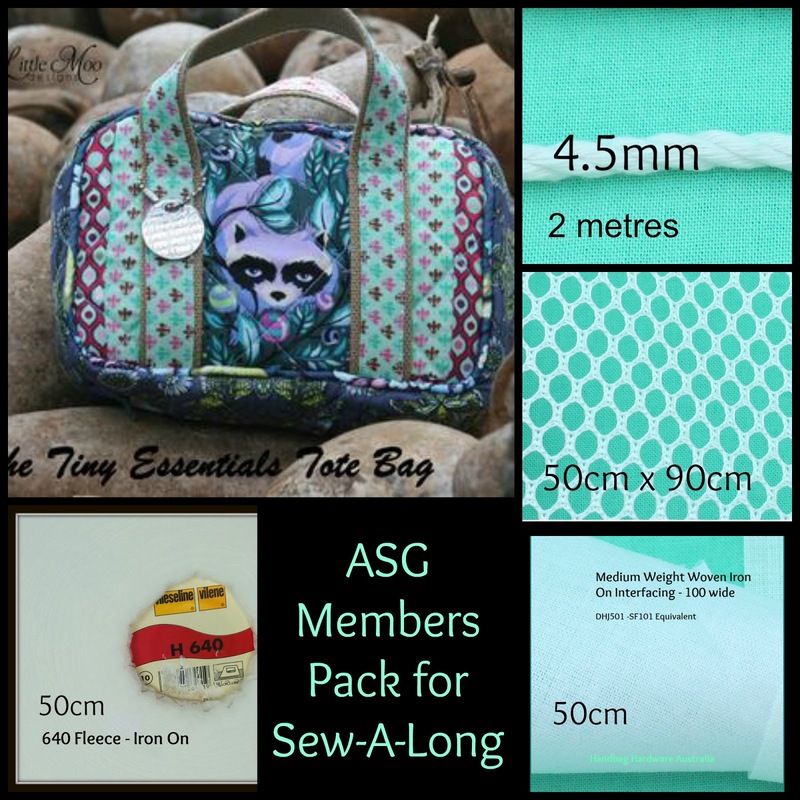 This Sew Along is suited to people with intermediate level of sewing skills, or confident beginners. Check back with us on 30th November 2015 when the fun begins!